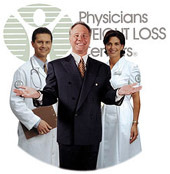 If you are looking for information on the Physicians Weight Loss franchise business opportunity, Physicians Weightloss franchises or Physicians Weight Loss franchising, then you have come to the right place. The difference in Physicians WEIGHT LOSS Centers® is that due to the professional staff we hire we are able to administer stronger and more aggressive weight loss programs than other commercial weight loss centers. They simply cannot administer the type of programs that we do. That gives us a big advantage. Do you need to be a Physician? NO! Years of success, a proven history! Strong brand known for weight loss results! Strong on-going franchise operational support with individual attention to you! State-of-the-art marketing system that provides you with advertising and promotional materials online! $40 - $60 Billion annually in the diet industry! Physicians WEIGHT LOSS Centers offers four (4) very distinct, effective, and guaranteed weight loss programs to meet different lifestyles! There are over 75 revenue-generating products! You will receive credit for each and every product sale on the Internet that is processed within your established exclusive territory. On-line purchases are credited to you 24 hours a day, 7 days a week! Opening Within 60 - 90 Days! 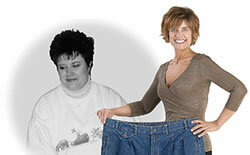 At a time when obesity and it's related health complications are on the minds of medical professionals, business owners, and families worldwide, there has never been a better time to join Physicians WEIGHT LOSS Centers as a Franchisee.